Mauricio Pochettino has demanded that English football do more to address the "massive disadvantage" teams face in preparation time for big European ties. Tottenham Hotspur play Borussia Dortmund tonight in their Champions League last-16 game, with just two days off after their derby against Arsenal on Saturday. Dortmund had one extra rest day, having played Augsburg in the Bundesliga on Friday night. 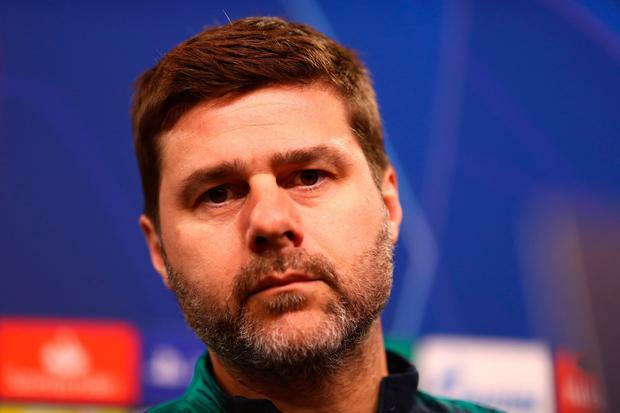 Speaking at his press conference at Signal Iduna Park yesterday evening, Pochettino insisted this was "not fair" because of the physical benefits from one extra rest day. He pointed to the fact that before the first leg last month, Spurs only had two rest days but Dortmund had three. Spurs won the first leg 3-0, a game Pochettino insisted they should keep out of their heads tonight, but he called for official intervention to level the playing field. "If you play on Saturday (and Tuesday), how do you prepare?" Pochettino said, echoing an old complaint of Jose Mourinho and Arsene Wenger from recent years. "The only way we can prepare is talking, not training. Dortmund, for the first leg, they had more time to prepare the game. Now it is the same." It has been a difficult year for Spurs to arrange fixtures given the long-running confusion about their stadium. They have still not moved into the new White Hart Lane, have had to play 'home' game at Wembley with one at Milton Keynes, and that has impacted their already-busy calendar. On the eve of their biggest game of the season, Pochettino pointed to how difficult it has been. "We played a lot of game with a lot of disadvantages," he said. "Remember quickly, we played Manchester City on a Monday (October 29) and we played Carabao Cup on Wednesday (October 31) against West Ham. "When West Ham had played on Saturday and then had three or four days to prepare the game against us. "How do you prepare in 48 hours? It is always so difficult when you are tired. You have no time to recover, you start the game so difficult, after 15, 20, 25 minutes start to feel better." "We need help from the FA. We need help from the Premier League." Premier League managers feel that foreign leagues are more helpful than English football. And Pochettino pointed to the example of French club Rennes, who had a Ligue 1 game against Nimes postponed by the LFP so that they would have more time to prepare for their Europa League last-16 tie against Arsenal. "Look at what happened with Rennes in the Europa League, they cancelled their weekend game to help them to play against Arsenal.